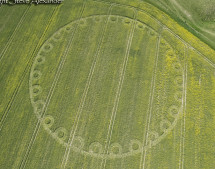 Please Note: We hear this circle has now been partially defaced by the farmer. 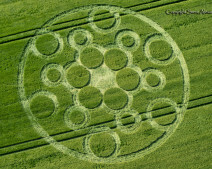 Please do not enter this field. 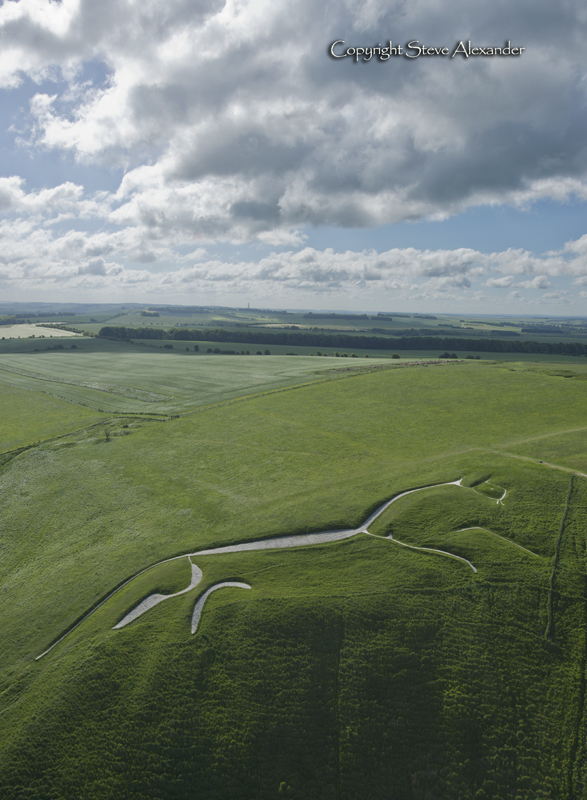 Uffington Castle is a Bronze-Age hill fort which sits atop an escarpment on the ancient Ridgeway pathway, where it crosses over from Wiltshire into Oxfordshire. 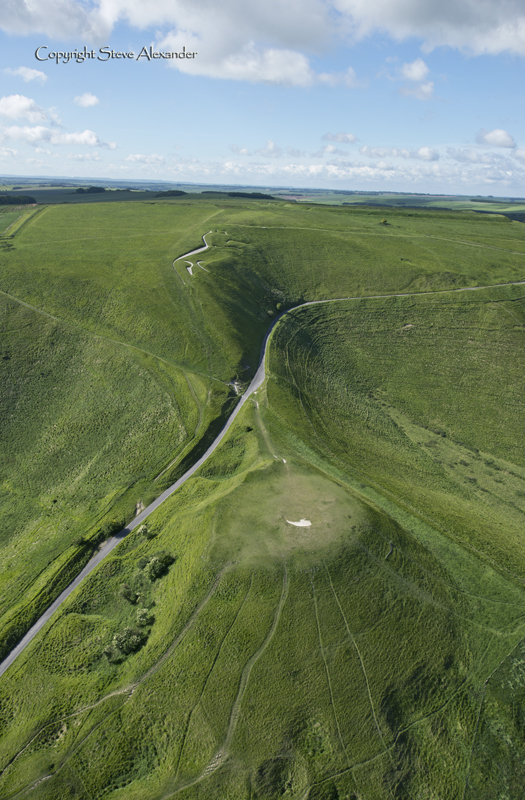 It’s World-famous White Horse chalk hill-figure sits on the embankment of the hill and is the oldest chalk figure in the UK dating back approximately 3000 years. 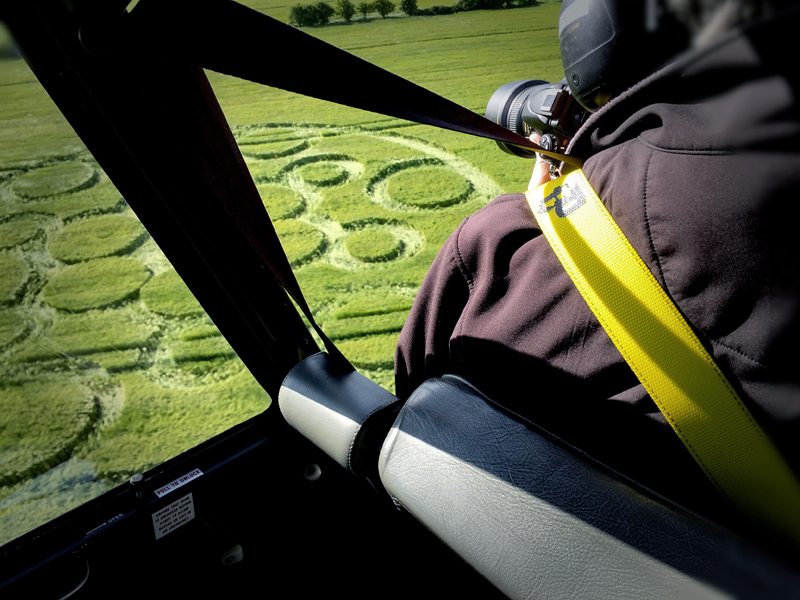 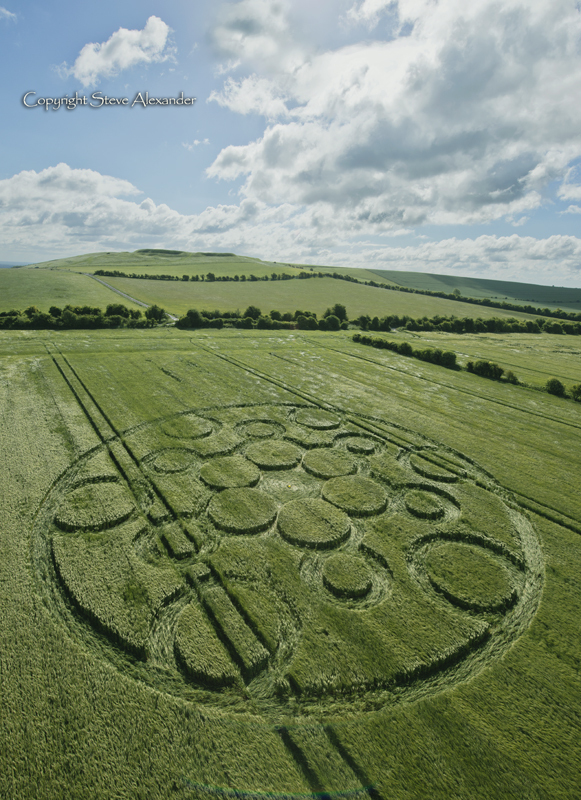 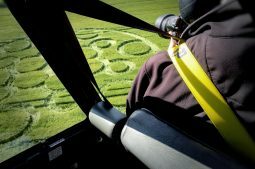 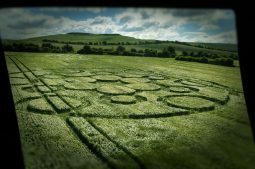 This whole area, encompassing the hill fort, white horse, Woolstone hill and Wayland’s Smithy barrow has set the scene for many crop circles over the past twenty years. 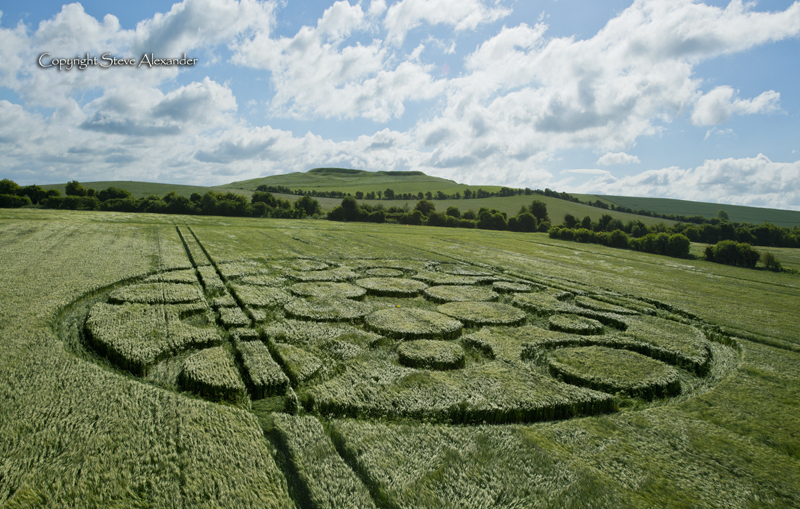 It’s a beautiful part of our ancient landscape and if you’ve never been before we can highly recommend it! 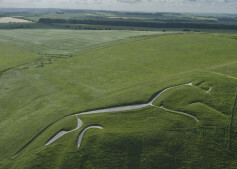 You can read more about Uffington White Horse and Castle here and here – with historical overview and visiting information. 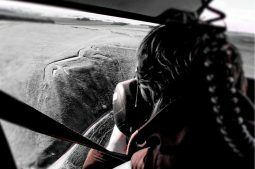 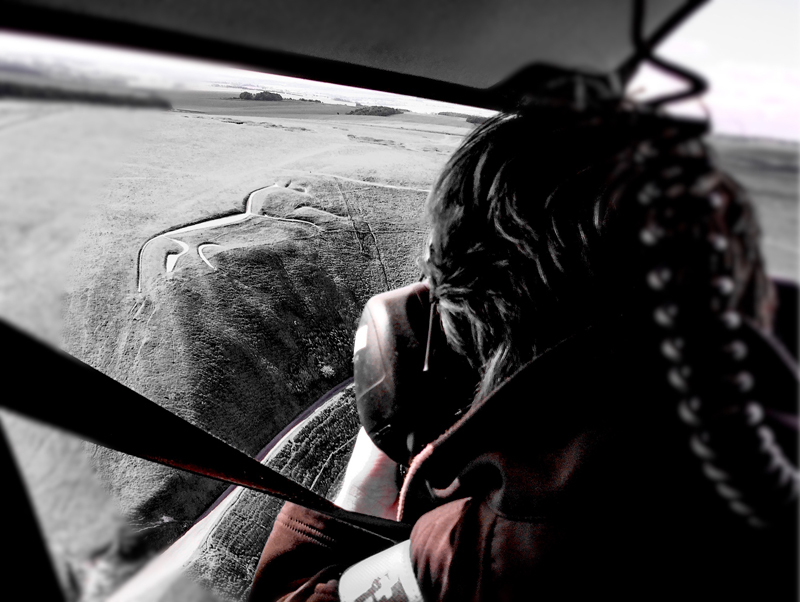 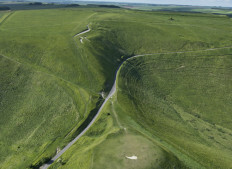 Drone enthusiasts please note that the flying of drones at Uffington is prohibited by the National Trust without their express permission – please see the links above for more information. 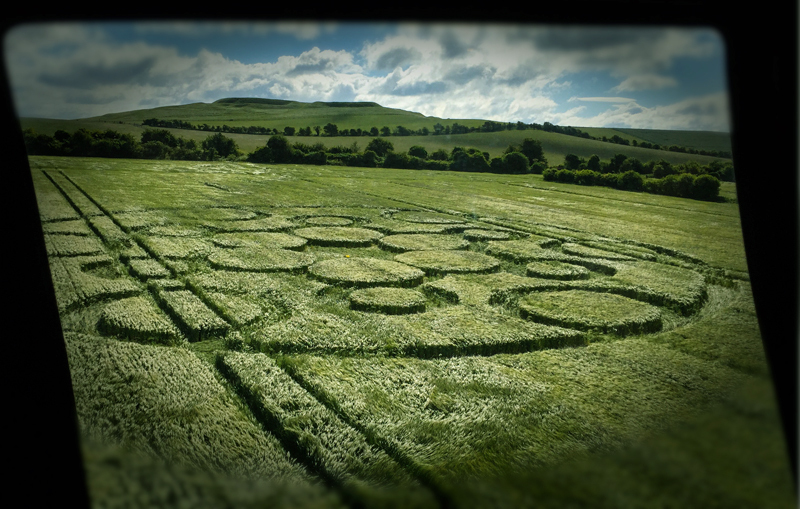 This crop circle lies to the east of the hill fort near Woolstone Hill (see Google Maps link on the right of the page for precise location). 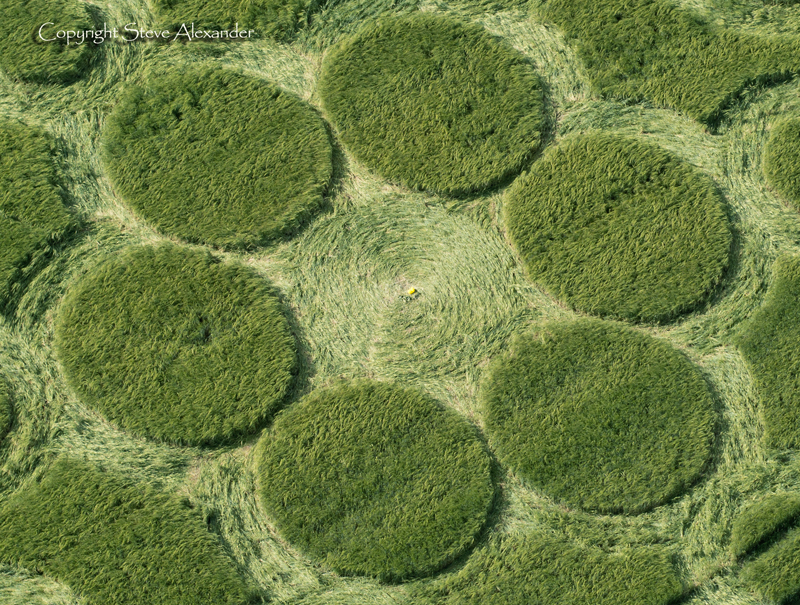 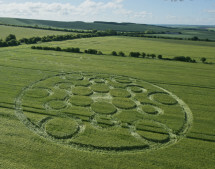 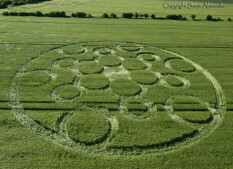 It is in a field of Barley and measures approximately 150ft in diameter. 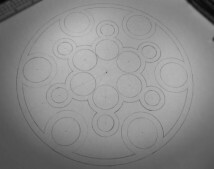 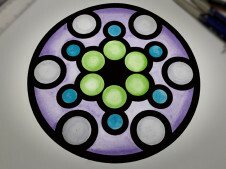 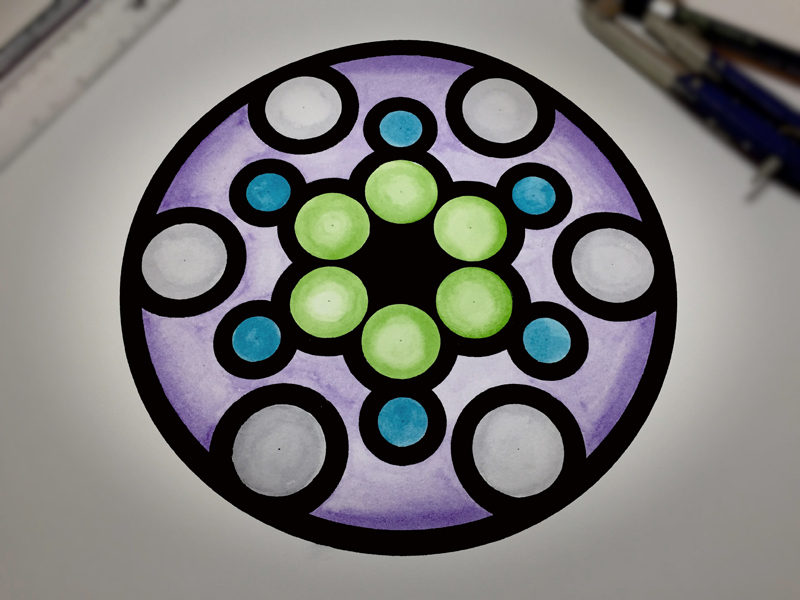 It is a very pretty six-fold design made entirely from circles of various sizes. 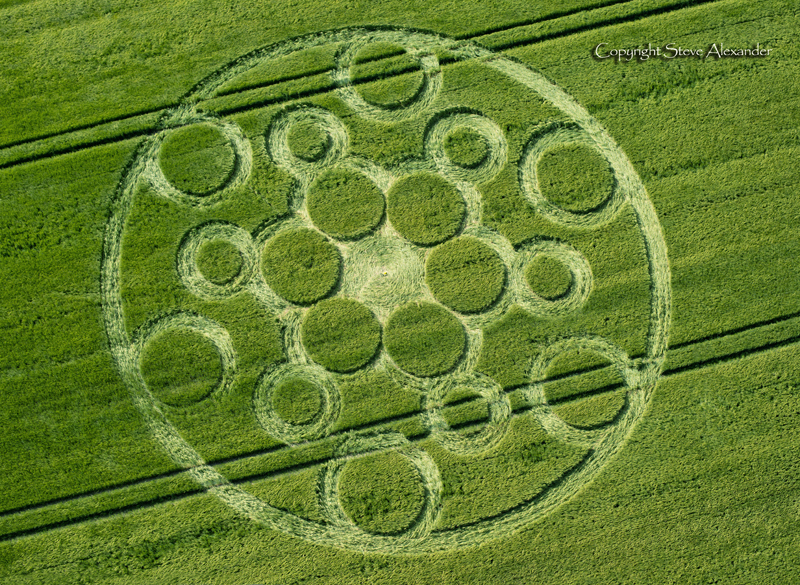 What makes this formation particularly curious is that all the circles inside the formation (18 in total) are standing with no flattened centres (or indeed any marks at all at their centres), the crop is instead swirled in pathways around the circles – from a construction point of view this is very interesting. 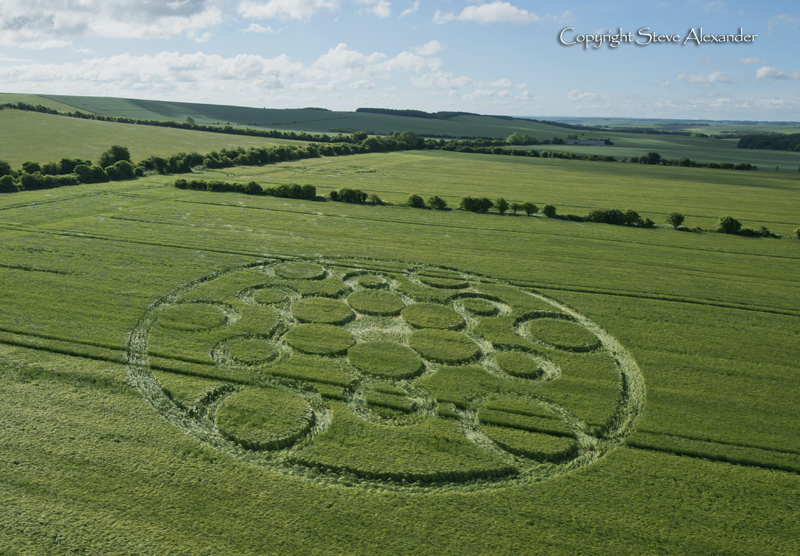 Geometrically, this is yet another harmonious six-fold design, made from 18 standing circles and encompassed by a 19th circle. 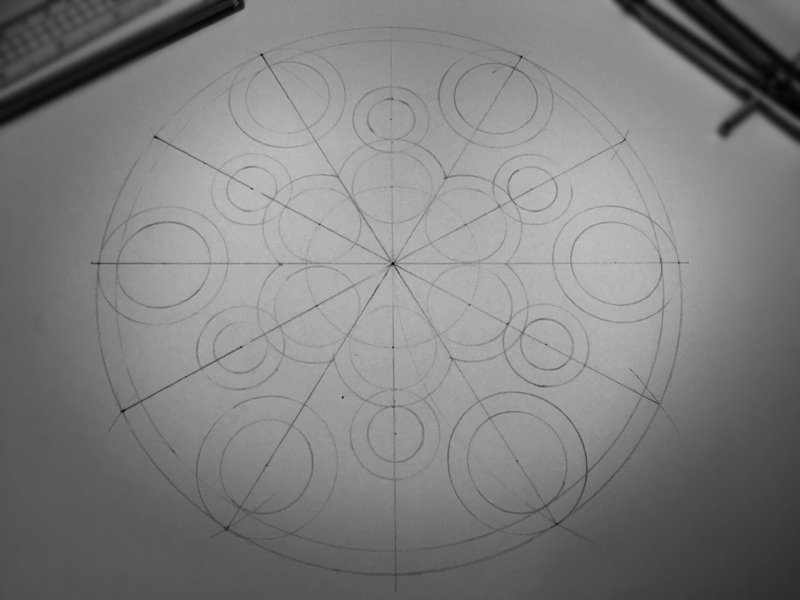 In Ancient Egyptian times a grid of 19 squares tall was used in the construction of reliefs of the human body: 11 squares to the navel, 18 squares to the brow (or hair line) and the 19th was the crown of the head, the seat of consciousness. 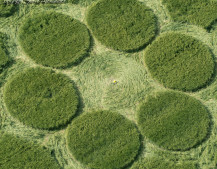 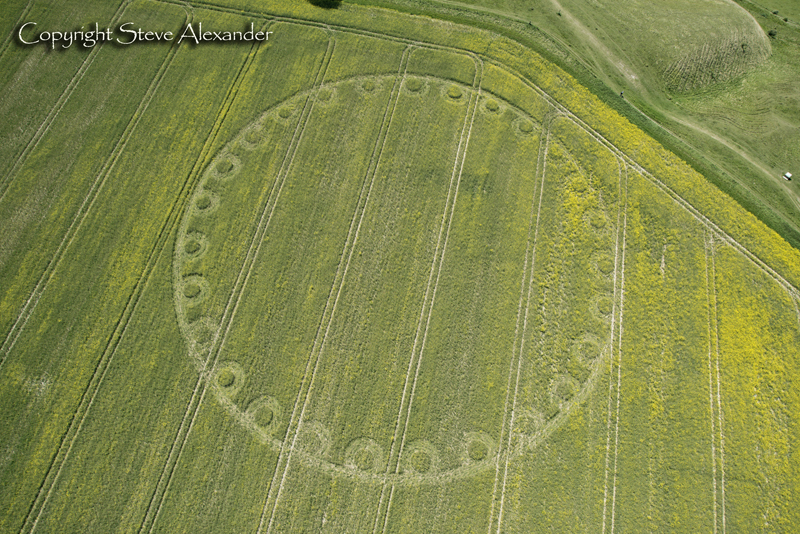 Six, twelve and eighteen are numbers we see often in crop circles designs, this circle reminded me of the one earlier in the year at Oliver’s Castle where 27 circles were arranged inside a ring, in a way not unlike the way the circles attached to the outer ring work in this circle. 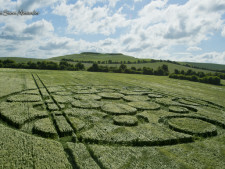 See the Geometry Galley below for images. 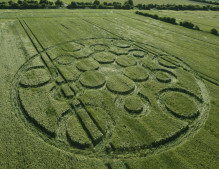 As stated above, geometrically, this is yet another harmonious six-fold design, made from 18 standing circles and encompassed by a 19th circle. 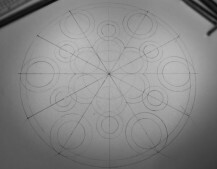 In Ancient Egyptian times a grid of 19 squares tall was used in the construction of reliefs of the human body: 11 squares to the navel, 18 squares to the brow (or hair line) and the 19th was the crown of the head, the seat of consciousness. 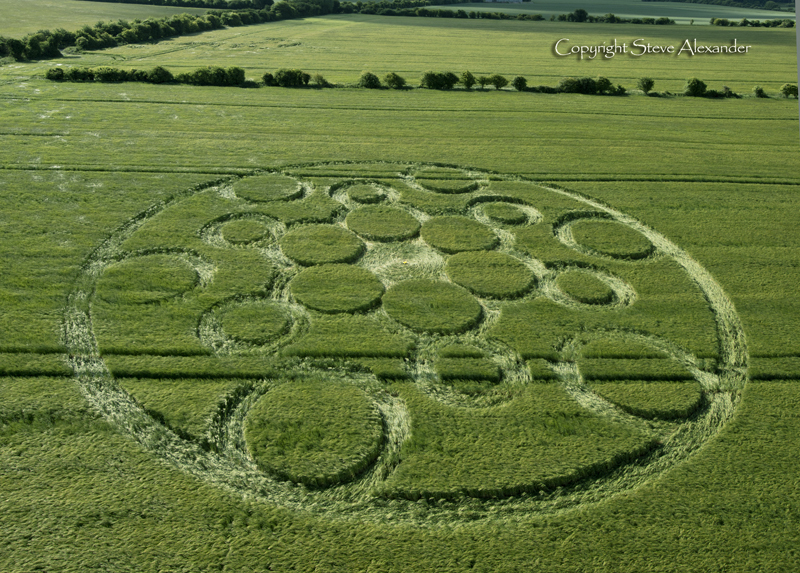 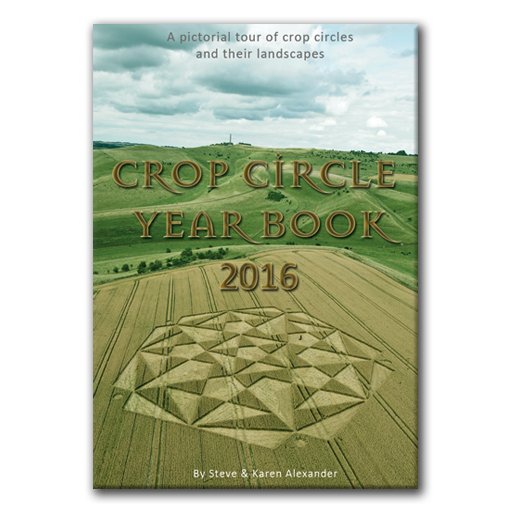 Six, twelve and eighteen are numbers we see often in crop circles designs, this circle reminded me of the one earlier in the year at Oliver’s Castle where 27 circles were arranged inside a ring, in a way not unlike the way the circles attached to the outer ring work in this circle. 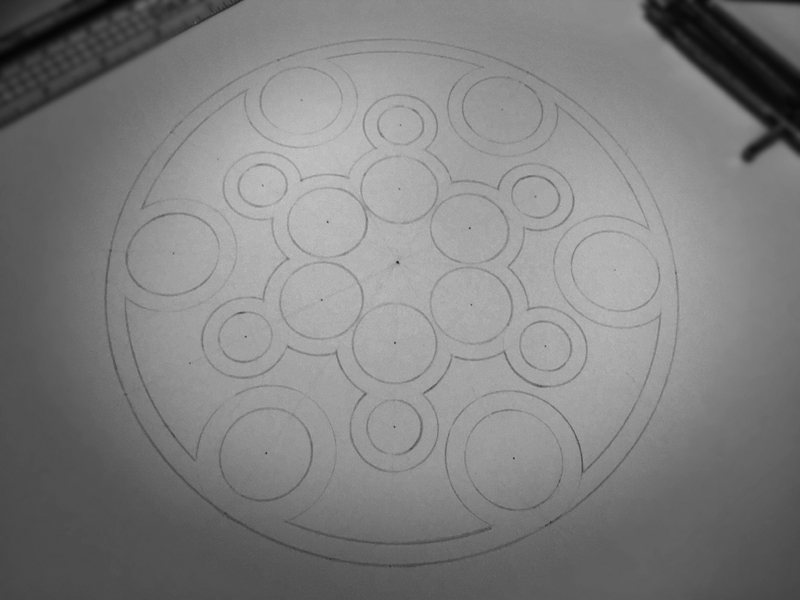 As you can see from my drawings below, the 360 degrees of the circle were divided into 12 to plot the design. 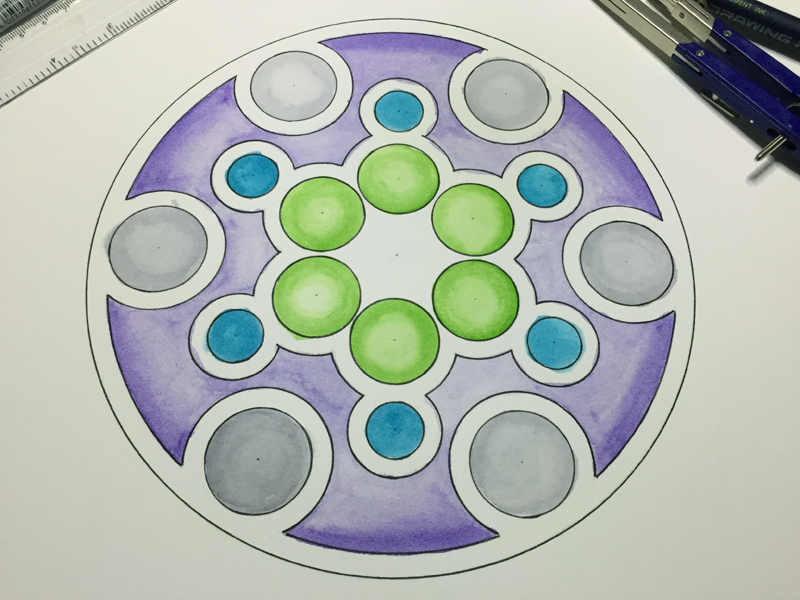 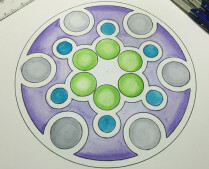 The various diameters of the circles and pathways were interconnected in a very harmonious and pleasing way to create the over all design.